The untimely passing of the beloved New York Times bestselling author E. Lynn Harris has left fans pining for more. 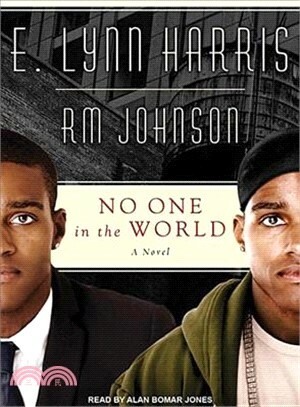 With this collaboration, fans are given the book they've been clamoring to read-and the book that Harris and Essence bestselling author R. M. Johnson long wanted to write.Cobi Winslow, a handsome, well-educated district attorney, knows nothing about the life of his estranged twin brother, Eric Reed, a career criminal raised in the foster care system. Following their parents' death, Cobi searches for and finds his brother, hoping to regain lost years.Meanwhile, Cobi navigates the pressures of society as he lives life in the closet. The stress comes to a head when he learns that in order to inherit the wealth of his father's estate and save the struggling family business, he must marry a woman before he turns thirty-five. The task becomes more convoluted when Cobi's sister proposes to pay Austen Greer, a once-successful and wealthy businesswoman who lost everything in the recession, to be Cobi's wife.Eric discovers Cobi is gay and promises to keep it a secret. Instead, he entrusts the information to his former prison cellmate, Blac, who endears himself to Cobi in hopes of securing a $150,000 loan from him to pay back a debt racked up by cocaine sales. As the clock runs down both on Blac's efforts to pay his deadly creditor and on Cobi's attempts to save the family company, rash moves are executed, family and friendship bonds are tested, and life-altering sacrifices are made. E. Lynn Harris (1955-2009) is the New York Times bestselling author of twelve acclaimed novels, including Just as I Am, If This World Were Mine, Any Way the Wind Blows, A Love of My Own, Just Too Good to Be True, and Basketball Jones, as well as a memoir, What Becomes of the Brokenhearted? Born in Flint, Michigan, he grew up in Little Rock, Arkansas and attended the University of Arkansas. His many awards include the James Baldwin Award for Literary Excellence (for If This World Were Mine) and three Blackboard's Novel of the Year Awards. R. M. Johnson is the author of nine novels, including the bestsellers The Harris Family and The Million Dollar Divorce, as well as the nonfiction work Why Men Fear Marriage. He holds a bachelor of science degree from the University of Louisiana and an MFA in creative writing from Chicago State University. Born and raised in Chicago, he currently lives in Atlanta, Georgia. Alan Bomar Jones is an international stage actor who has appeared in over sixty professional theatrical shows, performing from Canada to California. His offstage credits include two made-for-TV movies, several independent films, and various local commercials. As an independent voice-over artist, Alan works from his home producing books and commercials.